Some stories withstand the test of time. They’re unforgettable. They change individuals and move a people. They influence us, deeply, and leave an emotional imprint on our souls. And they work on multiple levels. Les Misérables is one of those stories. And I’m dissecting it to get a good look at its innards. Strong stories affect our emotions, significantly. David Farland, in his book Million Dollar Outlines, says that strong stories score high on the “Emotional Richter Scale.” For example, if you’re writing a comedy, it shouldn’t just make people chuckle; it should give them a split in their sides from laughing their heads off. The best stories draw us in, make us emotionally invested, in the characters and conflicts so that we feel as if we are living the narrative ourselves. Les Misérables takes us through people’s hopes and dreams as well as their hardships, deaths, and disappointments. Few viewers and readers get through the story with a dry eye. The film hit me right in the chest. Les Misérables not just sad, it’s tragic. Sure, it’s sad that Fantine loses her job, but it’s tragic she has to live in the gutters, compromise her self-worth, and give up her dreams on behalf of her daughter, who lives in shocking conditions herself. Likewise, viewers aren’t just happy that Valjean finds salvation, they are overwhelmed and euphoric, to the point that they’re crying. This is what we want to recreate in our own stories. Look for opportunities in your narrative to ramp up emotion. Is there a way to make a scene more devastating? More peaceful? More romantic? While still staying true to the story? Evoking strong emotion is important in storytelling because it’s in that moment the story has the most power to leave an indelible mark on the audience. Great stories do more than stir emotion. They change us. Les Misérables is rich with striking themes. Every time I experience it, I leave promising myself to be a better person. The story has themes of love with Fantine, Cosette, Marius, and Eponine; sacrifice with Fantine and the revolutionaries; redemption with Valjean; innocence (or the loss of it) with Cosette and Gavroche; and adversity with most the cast; but the strongest theme I see involves mercy. Les Misérables teaches that mercy is more powerful than justice. Because the Bishop was merciful to Valjean, allowing him to start a new life rather than go back to prison (justice), Valjean becomes a better person. He goes on to improve the lives of those around him. Javert, on the other hand, basically personifies justice. He’s a strong character, but in the end, Valjean’s mercy triumphs Javert’s justice. Javert is unable to shoot Valjean after Valjean spares his life. The event has such a strong impact on Javert, he commits suicide. Mercy changes people, changes lives, in ways justice, however important, can’t. Consider the themes in your story. Do they say what you want them to? How can you make them more powerful? How can you demonstrate them in your story? Without becoming preachy and contrived? 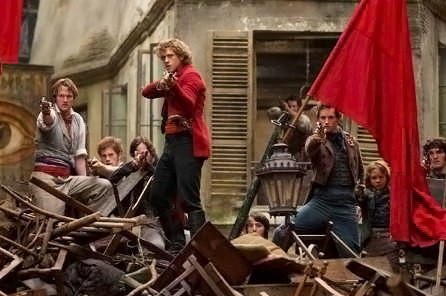 In Les Misérables, the theme is so intertwined with the story, it grows beautifully out of it. Les Misérables incorporates both worldly truths and Absolute Truths. I have a whole blog post discussing these two types of truths that I’m going to post in the future, but in short, Les Misérables shows us truths of the world while simultaneously showing us absolute, eternal Truths that transcend this life. We explore social issues, seeing the living conditions of the poor, while also exploring redemption, mercy, and ultimately salvation. When it comes to conflict, there are five types: man vs. man, man vs. self, man vs. society, man vs. nature, and man vs. God. Les Misérables covers all five. Brilliant, isn’t it? Man vs. man is the most obvious: just look at Valjean and Javert. We see plenty of conflict there. Man vs. self? 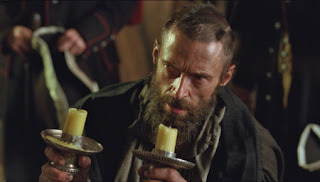 When Valjean learns that another person will be sent to prison in his place, he has to decide whether to keep his alias, thereby helping hundreds of workers, or, to reveal himself as Valjean and help one innocent man. Fantine also has internal conflict over selling her hair, teeth, and body. Man vs. society is best illustrated with the revolutionaries. They are fighting against their society for freedom and equality. But this conflict is also evident with Valjean’s experience right after he leaves prison, and with Fantine’s fall. Man vs. nature comes in when Fantine succumbs to death and when Valjean struggles through the sewers. In the novel it's touched on as Fantine tries to survive the winter. Man vs. God is shown when Valjean is angry with God while on parole, and then, after the Bishop, when he strives to gain forgiveness. Similarly, Fantine goes from loving God, to not believing in God when in prostitution, to finding God again through Valjean. Look at your story and see what conflicts it has. Is it a man vs. man story? A man vs. nature story? See if you can add and stack conflict types so that you cultivate a variety of tension in the reader. 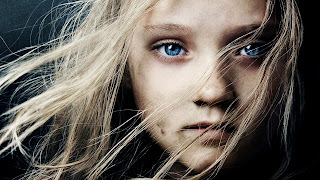 This post is just the first part of my Les Misérables dissection. There is more on the way. Hopefully what I've covered so far has helped you with your writing endeavors. Until next time, tell me your thoughts. What do you like about Les Misérables? Have any insights or rants to share? Favorite parts? Read Part 2 of this Dissection. . .
"...he has to decide whether to keep his alias, thereby helping hundreds of workers..."
I thought he was rationalizing (coming up with excuses not to turn himself in). Hmmm... interesting point. Here are my thoughts. In the song "Who am I" Jean Valjean is torn, "If I speak, I am condemned, if I stay silent, I am damned." Being damned by God would feel very real and serious to Valjean, I think. But he also sincerely cares about and shows mercy to his workers, as we can see in his reaction to Fantine's situation. He can do more good for people, show more mercy, if he didn't turn himself in. So he is very torn within himself. He could be rationalizing to himself, but yet it holds true that by turning himself in, his workers, as well as many others, will be worse off because of it. So, if it is an excuse, it's a very real one. I just noticed something. In the movie, the second time that the line you quoted is sang, it's changed to "If I speak, THEY ARE condemned..." (maybe Hugh Jackman was improvising). I have the 10th anniversary concert and, even though English is not my first language, at least in this version I'm pretty sure Valjean sings "If I speak, I am condemned..." both times. This change makes it seem as if Valjean really believes that the workers will suffer without him. At the same time it makes him seem a bit more selfish. The line now reads as if the real choice is between saving his workers or saving himself from an eternity in Hell. He chooses to save himself at the expense of his workers. Wow, what an interesting insight. Thanks for sharing. I hadn't thought of it that way.